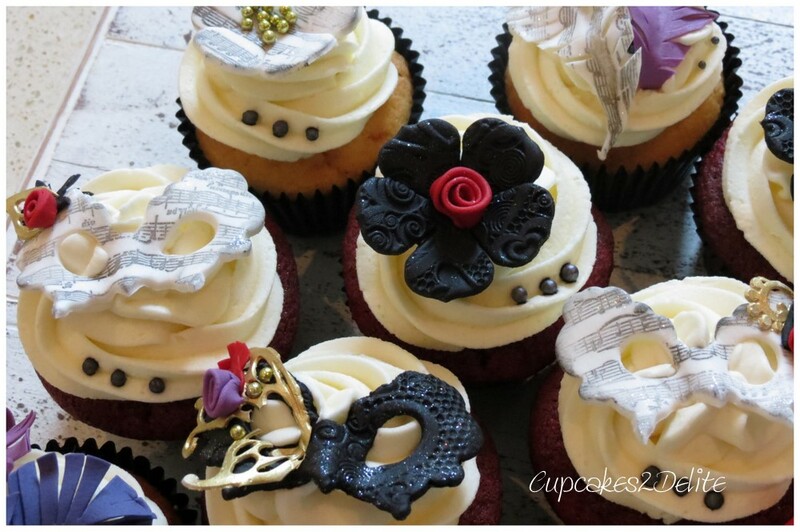 Tarryn celebrated her 40th birthday with her family and friends and she chose as her theme a Masquerade Ball. As much as I love clients who give me carte blanche in their cake and cupcake orders, I also love those who know exactly what they want when they place their orders. Tarryn was so organized with the ideas she had in mind right down to the exact colours and shades she wanted her decorations to be. The sugar paste masks and feathers were easy to do in the chosen colours and I added my touches with the embossing and stamping on the flowers, masks and feathers. I chose the music notes stamp as her niece was going to be singing some of her favourite songs on the evening of the party. The final touch were the hints of gold I added as beads to some of the flowers and edible lace to some of the masks. 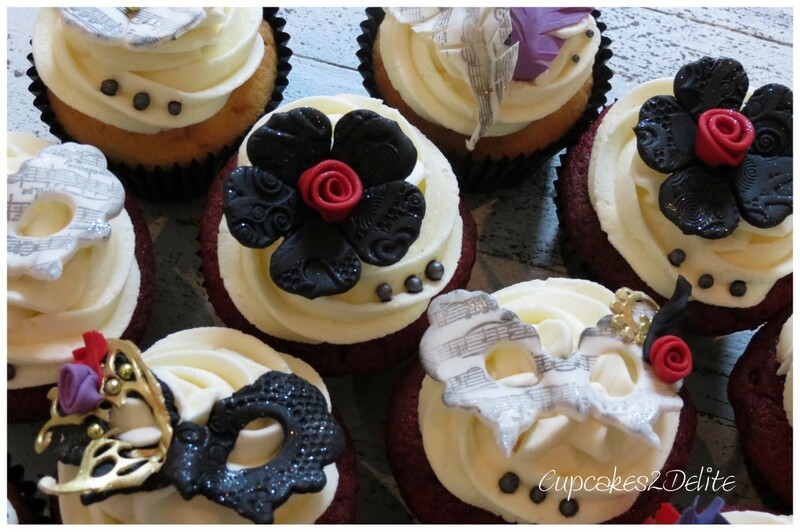 Thanks Tarryn for this marvellous Masquerade Ball Cupcake order and I was thrilled to hear that your party was such a success after all the preparation and enthusiasm you put into it. 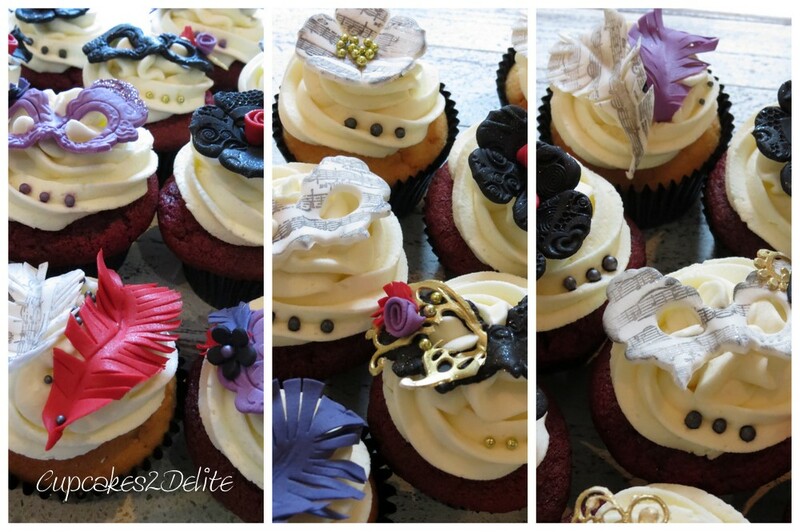 Perfect news to hear too that your guests enjoyed these cupcakes. ← Granny Nora Turns 90!